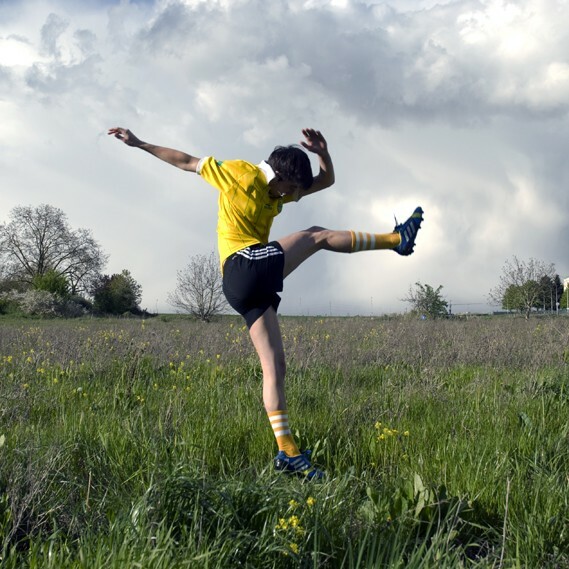 Some time ago, I met with a female football player to ask how she practiced her sport. She told me that, at 45 years old, after a hiatus of 25 years, she started playing soccer again. As a result, she rediscovered her body. This is what I also felt when I took my first dance lesson at age 18. She also confided that it was hard to be a woman who plays football in France today. That was our starting point. If you type footballeuse (the French term for a female football player) on the Internet, the first thing that appears is an article entitled, "Photos of the top 20 hottest female football players.” A little further down the page is an article with the headline, "The World Cup: when footballeuses need to prove they’re women.” Recently, while listening to the radio, I heard a heated debate, packed with misogynistic and degrading statements. The show was about the release of a new video game released by FIFA, in which women were represented for the first time. 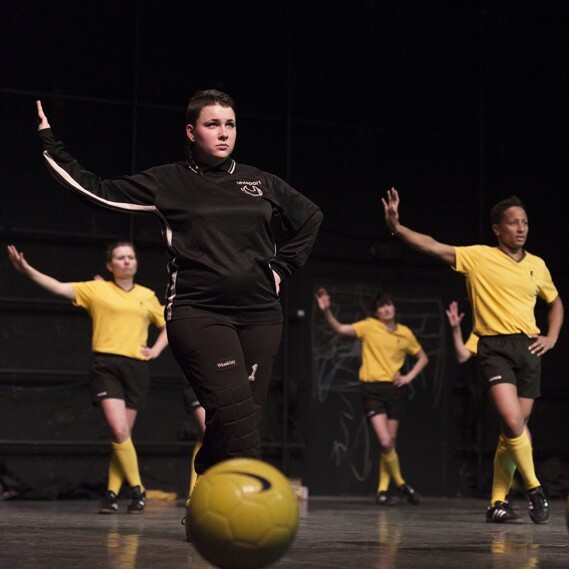 With the Footballeuses project, I wanted to discover just what was afoot in this collective practice – which I knew nothing about. What sparked my interest was the intimate connection players maintained with this sport, just like the woman quoted above. Since then, I have met other female soccer players. Their stories have led me to weave together their trials and tribulations, their joy and desire to form a group, as well as everything they have undergone, from stereotypes to violence. 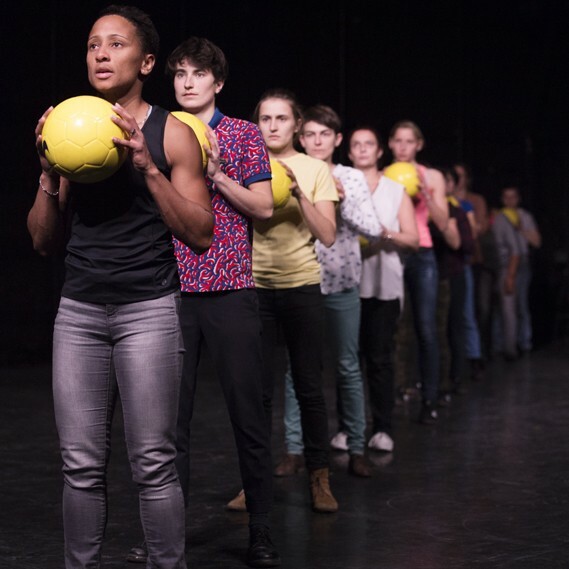 I decided to invite 11 female football players on stage to describe their experiences and bring the gravity of their own words. How to share these different personal stories? What is being played out in their bodies? How can the stage help transcend these experiences? But also, what connection is there between one’s relationship to a football field, and the relationship to a stage? What does a football jersey become once it is taken out of its context? What resonance does it have on stage? What codes, what symbols does it convey off the pitch? One of my father’s great disappointments was that neither my brother nor I played football. This is a way for me to still cling to it. coproduction Théâtre Brétigny, scène conventionnée, Théâtre Louis Aragon, scène conventionnée Danse de Tremblay-en-France, L'échangeur - CDC Hauts-de-France. with the support of Département de Seine Saint Denis dans le cadre de « Territoire de la danse » 2016. 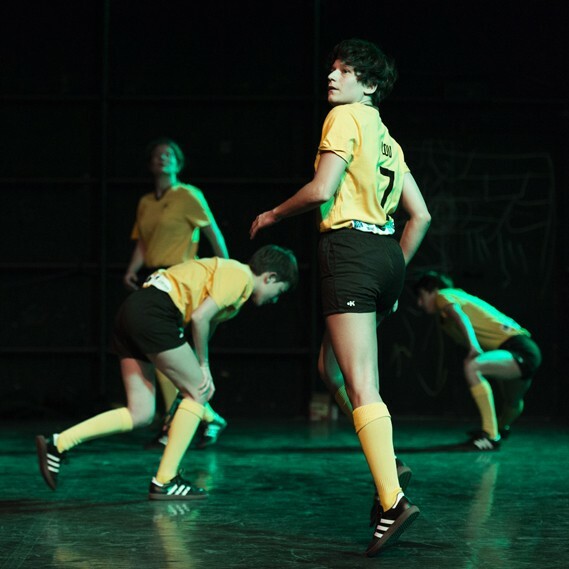 Footballeuses - extraits from Mickaël Phelippeau on Vimeo.